Are you a AAA Approved Auto Repair? Why is the ASE Blue Seal important? What is your auto repair warranty? All About Mike's Automotive Services - Your Somerville Car Repair Specialist! 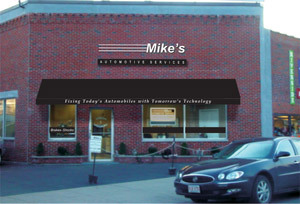 Mike's Automotive Services is located in Somerville, Massachusetts. The company was started in 1980 in nearby Cambridge and has grown into one of the very finest Somerville car repair and maintenance shops. Mike Pedersen, owner, says "Customers love our shop!" Looking at the AAA customer response cards he notes, "Looks like my mother wrote them." Mike's commitment to treating customers great is what earns such outstanding comments from our customers. Mike's is committed to making customers for life. The way for any auto repair shop to do this is to make the auto repair experience a better one for the customers. At Mike's we do this in many ways. First, we hire professionals that have a friendly and caring manner. Then, we make sure to treat each customer like family. 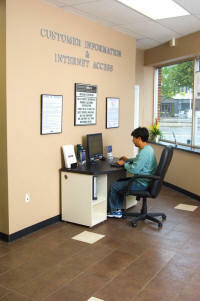 We have many while-you-wait services and while you wait, we provide TV, Newspaper, Magazines, FREE WIRELESS INTERNET for your laptop, and complimentary use of our computer with Internet hookup, right in our very comfortable waiting room. Mike's Automotive Services is a shop you can trust. 1000's of customers, AAA Approved, ASE Blue Seal of Excellence, multiple year winner of the Reader's Choice Award in the Somerville Journal, the only winner in the state of Angie's List Super Service Award for TEN YEARS running -- all tell you that Mike's is a shop that has worked hard to earn your trust and confidence. We enjoy a fruitful and successful business because our customers love our shop and they refer their friends and relatives. Give us a try and you'll quickly see why. Mike's was started in 1980 by Mike Pedersen. Large facility with 8 service bays to provide faster service. Clean, professional and well organized shop allows for quicker service done right the first time. 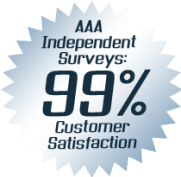 AAA Approved Auto Repair Shop with 99% Customer Satisfaction Rating from their independent surveys of our customers. Mike's is one of only ten ASE Blue Seal of Excellence Shops in all of Massachusetts, making us a very qualified auto repair facility for Somerville and the greater Boston area. Mike's provides a very long warranty on auto repairs -- up to 2 years and 24 months. Most only offer a few months (including dealerships). Now that's a commitment to doing it right! We treat our customers the way they want to be treated, like family. Our customers love our business and we love our customers. We get to know each other and we get to know your vehicles too. Mike's has more equipment and better equipment than most dealerships in the area. We offer full auto repair and maintenance services from oil changes, to alignments, to computer diagnostic, to electrical, to complete engine replacements and everything in between. Mike's Automotive Services provides expert auto repair services to the Greater Boston Area and Boston North, including the communities of Somerville, Cambridge, Charlestown, Arlington, Allston and Medford.